This nourishing treatment base infuse with Keratin. Shea Butter and our Vitamin Complex is color-safe and intermixable with all treatment boosters, for all clients. Give your client’s hair glossy movement, vibrant color and light reflecting shine after just one use. The exclusive oil blend with coconut oil and cassia leaf oil, know for high shine properties, treats the dulling effects of coloring and styling, boosting cuticle reflection for up to 75% more shine. Boost your clients’ salon-smooth finish with Shield Lipid Complex. Enriched with 18MEA-40, designed to replenish the lipids that are lost from the cuticle through heat styling, this genius treatment seals in moisture. 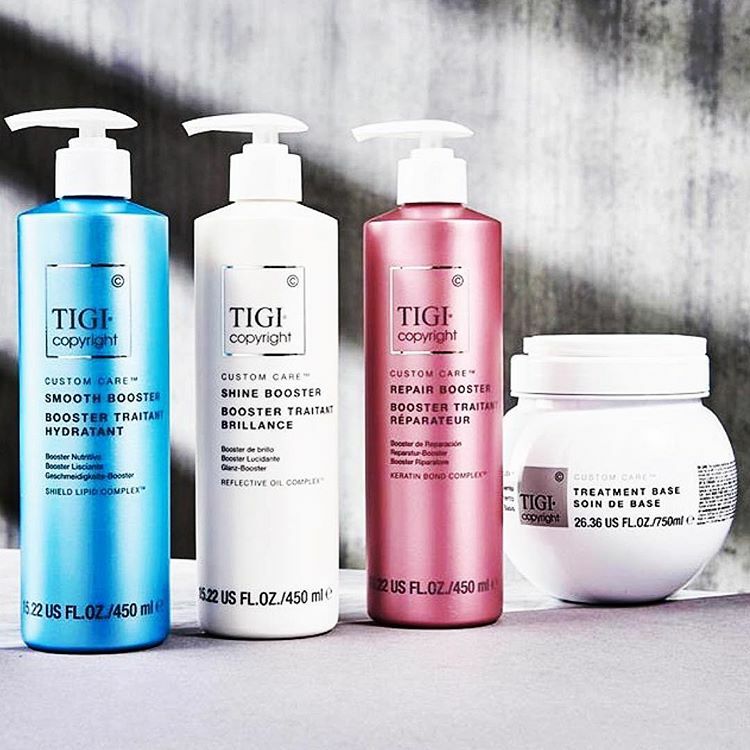 Infused with bamboo extract, it provides anti- humidity and frizz fighting benefits for hair that it is up to 62% smoother. Fortify the hair fiber from within and treat your client with 10x more Keratin than just using Shampoo and Conditioner. With our Keratin Bond Complex hair is left dramatically stronger with up to96% less breakage. With Marine Protein Complex, this extreme recovery expert treatment system penetrates the hair fiber at the core to help repair and reconstruct. 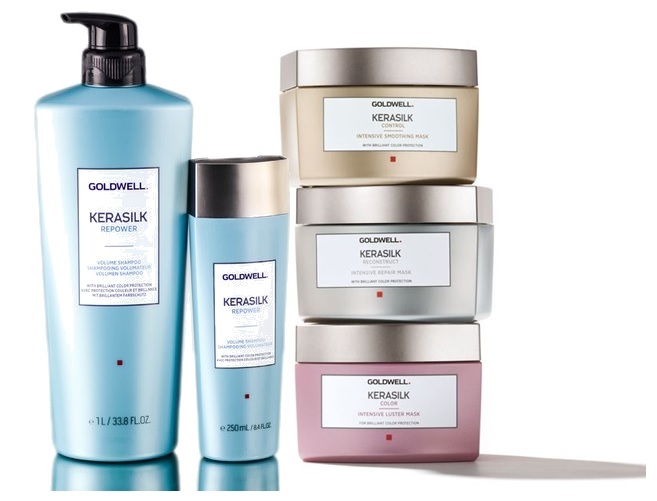 This luxurious in-salon service smooths and controls flyaways. With Kerasilk and Liquid silk to manage unruly and frizzy hair. nourishes and reconstructsstressed and damaged hair. with the hair’s structure and keeps beautifully colored hair brilliantly shiny. Intense nourishing mask for dry, damaged hair! Indulgent mask with a delicate oatmeal and honey fragrance. Formulated with acacia honey, wheat helps nourish and repair, leaving hair soft, smooth and full of shine. Active fiber-repairing ingredients which help to reconstruct the hair internally. This is an organic deep treatment with added essential oils to cocktail all the different Hair and Scalp needs. Designed to renew, moisturize and rejuvenate your hair and scalp. 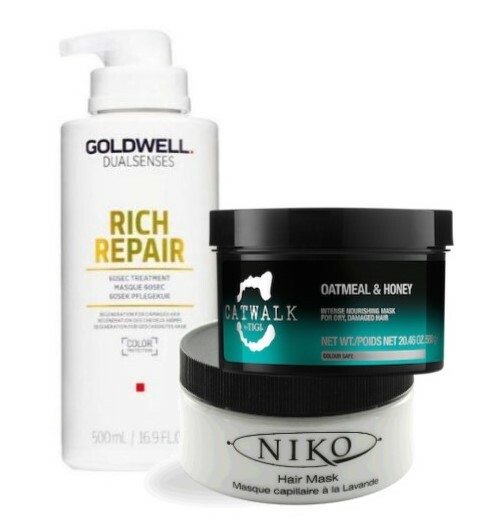 With the unique blend of nutrients, ocean botanicals and plant extracts, Niko Hair Mask is ideal for damaged, chemically treated or dry hair. In 15 minutes your hair will be lustrous, shiny and supple. Quench the thirst. Excellent for all hair textures, especially dull, dry, brittle hair. It penetrates deep within the hair shaft to hydrate and moisturize hair. Improving the surface porosity of the hair resulting in a softer, shiner hair texture. It decreases inter fibre friction between hair strands to prevent hair breakage and split hair ends leaving hair healthy-looking. Hair becomes more manageable and is also protected from drying effects of thermal appliances and eliminates static charge.